To most, Kuky is a man of mystery. If Kuky isn't scoring waves or being productive in his Fuerteventura studio you can bet your bottom dollar that he's somewhere on mainland Europe doing something more exciting than your average 9 to 5. 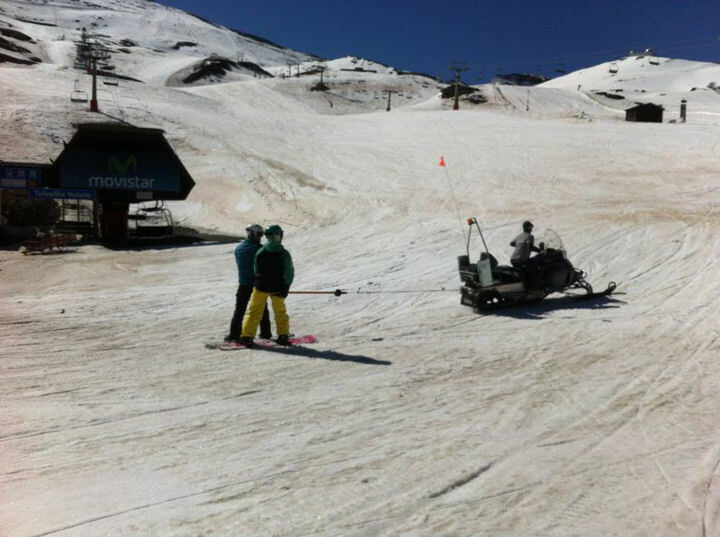 For the last week Kuky has been coaching the Spanish Snowboard Team at Sierra Nevada resort at the southern tip of Spain. 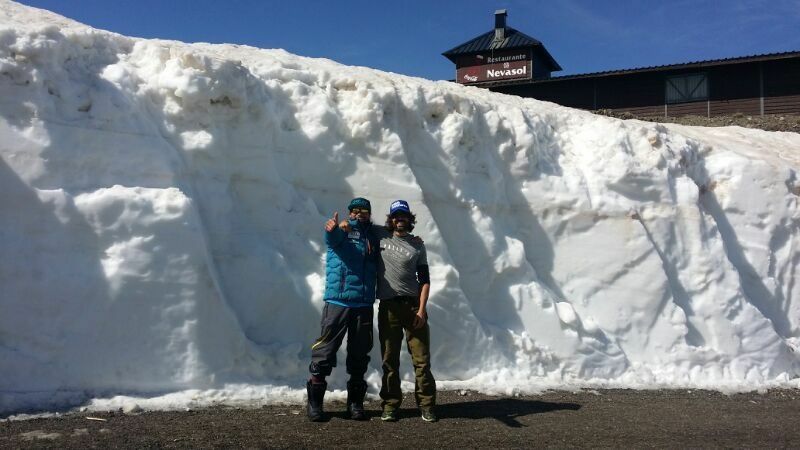 It might be May and the Sierra Nevadas may be 900Km south of the Pyrenees, but rising to over 3200m and on the back of a very good snow year, there's still plenty of the white stuff up at the resort. The lifts weren't open for the week, but a private snowmobile shuttle service is probably more exciting anyway.